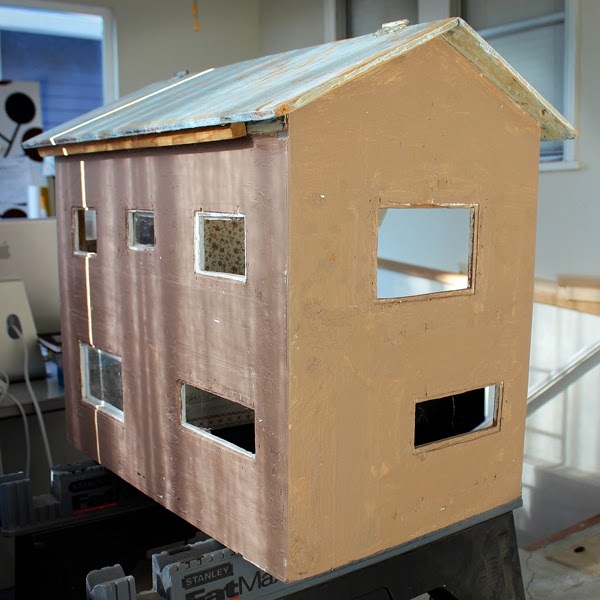 Sometime in the 6th grade, I pulled a dusty, primitive dollhouse out of our basement and fell in love. I didn’t know where the house had come from, we just sort of always had it. My siblings and I, we colored on it, shoved junk in there, but never used it for its intended purpose. But something clicked in my 12-year-old mind and I wanted to save it. And while I was saving it, I wanted to create inside a perfect little world all my own. 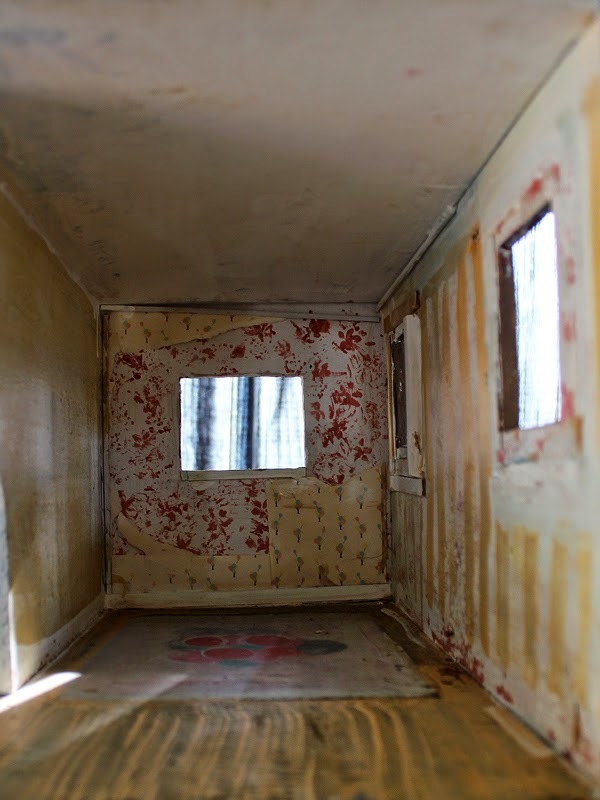 As I dreamed of my dollhouse, I romanticized the quiet life its inhabitants would lead. I imagined I was creating my own heritage piece, something to pass along to someone, my own daughter maybe, someday. And I began saving and collecting. I remember the $20 porcelain bathroom set was SUCH a splurge, but I justified it by making my own shelving, using a bead for a perfume bottle. The dusty blue couch set, a budget compromise. I outfitted the kitchen in oak, with a drop leaf table (not unlike the one I have now) and fridge that used ice, no electricity. And a pot belly stove. The parents’ bedroom had a four-poster bed I put together myself. And the nursery, the nursery was beautiful. Delicate and white. My mom jumped on my bandwagon and showed me a shop behind The Last Straw Ice Cream Parlour that was just for dollhouses. There I found wallpaper, carpeting and the clapboard siding of my dreams. I used to wander that shop for hours, not always buying something either. I wonder what that counter lady thought of me! You know, I also wandered antique malls at that age. By myself. In retrospect, is that strange? So flash forward a quarter century and here I am with a little lady of my own. Full size, not 1:12 scale! And she’s coming up on a third birthday. I give my mom a call and ask her to please, oh please, will you pull that dusty, primitive dollhouse out of your garage and ship it California? And she did. And woah. What many years in a couple different garages of varying temps can do. 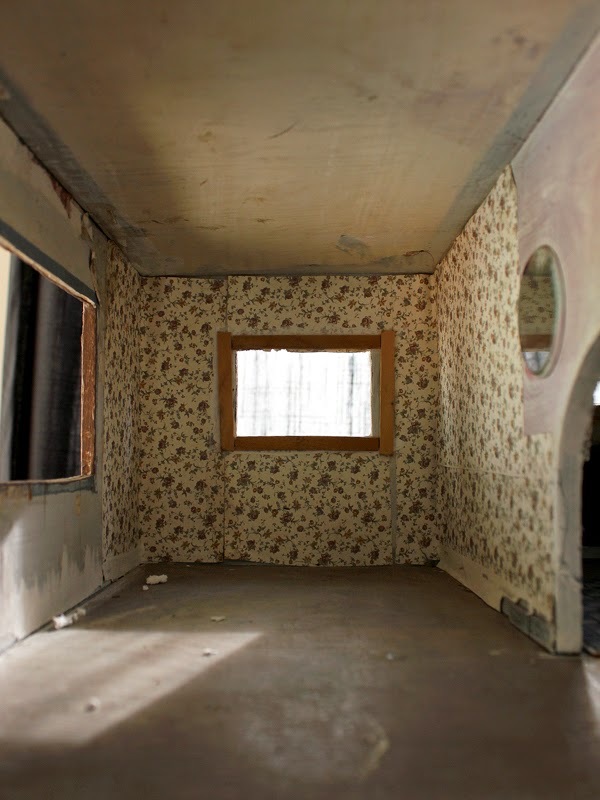 Gotta admit, I was a little taken aback at the site of the dollhouse I had cherished so much. All of the windows and all of the trim were gone. The inside faired much worse and it was looking a bit of a horror show. Not to mention, wobbly as all get out. Was I really going to give this to my daughter? Uh, yes. When faced with a project like this, it’s fuel for my motivational fire. The uglier something is, the prettier I want to make it. Safety was priority number one, so the first thing I did was remove every stray nail and scrape every surface until all was smooth(ish). Then I pulled out some wood glue and my nail gun and restored its rigidity. Solid. A coat of primer went over every inch, because sometimes, you can’t see what’s there until everything is white. Primer also worked to deter the musty smell of the wood and obviously, stain block. 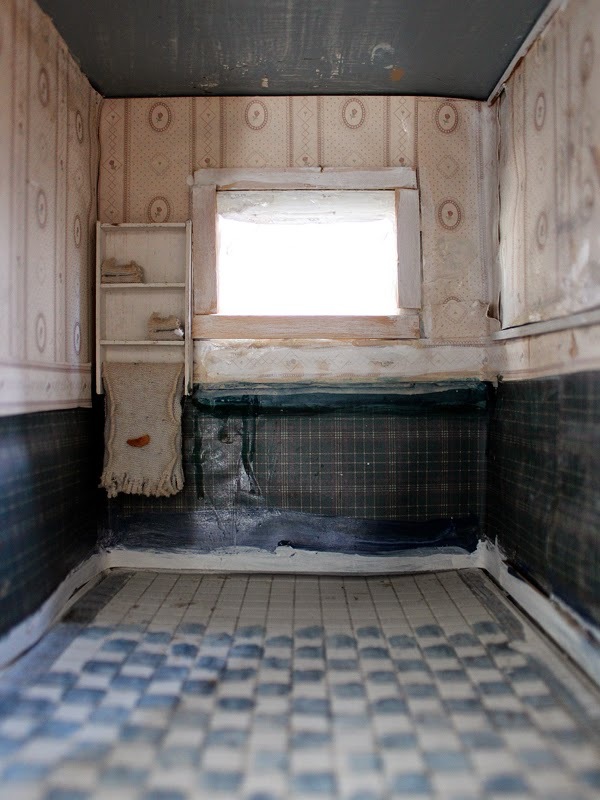 After the house was smooth, strong and the perfect blank slate, I realized all of the walls, inside and out, were so scuffed and gouged, that paint would not be enough to give it the clean, fresh, 2014 look I was going for. I had already decided on wallpaper for the back walls, but now I knew I would need to wallpaper all of the walls. And the exterior would get all new siding. I wanted to put clapboard on this house SO BAD when I was a kid. It feels full circle to do it now. What’s hilarious is I had originally intended this to be a Christmas present and thought I could get all of the above done in a weekend. Ha!!! When reality set in, I decided it was best to save it for her birthday at the end of March. Good idea because I need those entire three months to get this done. Between work, childcare and sourcing materials, this project proved intense. I’ll follow up tomorrow with the process of restoring this little house. It was so much fun, you know, if you like this sort of thing. 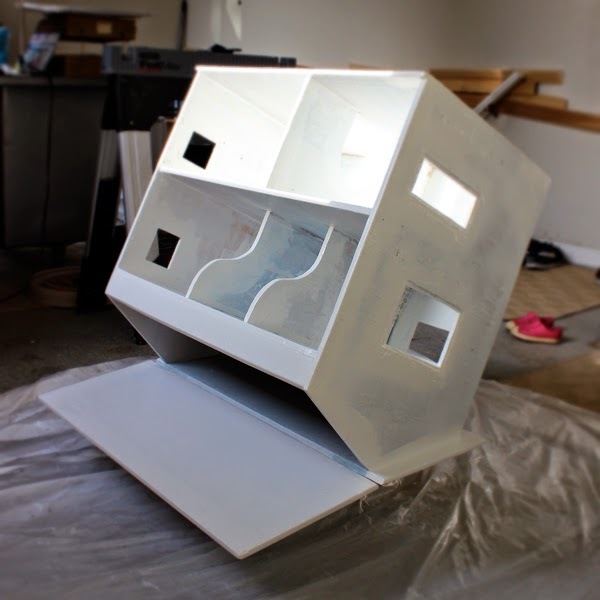 I just happened upon your blog, and I love this dollhouse!!! Can't wait for today's follow-up…and I'm going to have fun looking around your site! Thanks! I'm sure the last time I commented was a long time ago, but this post! I had similar dollhouse fantasies at the same age, but no dollhouse. I was a figure skater (back when skaters actually skated figures) and figure practice was so boring. (I like jumping and spinning much better.) 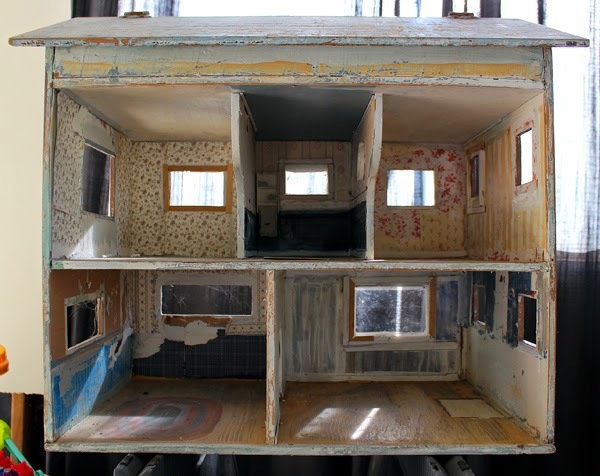 Anyway, I remember occupying my mind with thoughts of the perfect dollhouse I wanted to create. No idea why–but it's not all that different from how I sometimes think about my real house now. This post was just fascinating to me–and I can't wait to see what you did with this!